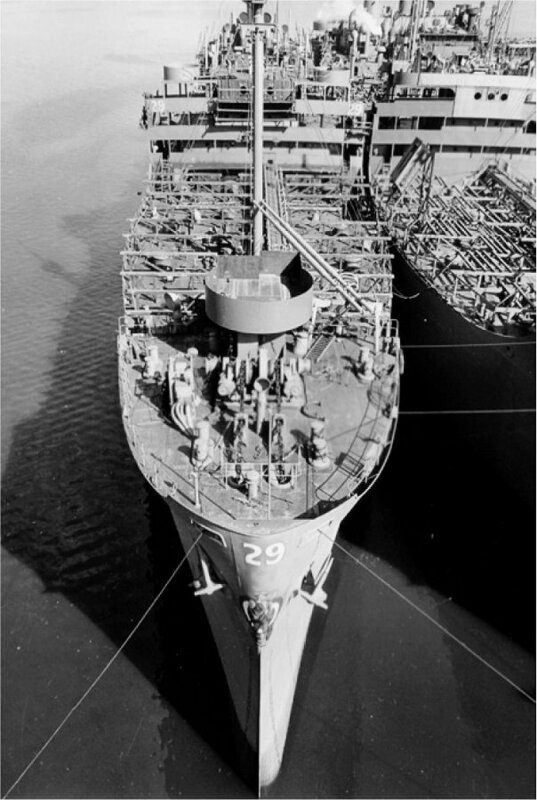 Laid down, 30 July 1943, as a Maritime Commission type (T2-SE-A2) tanker hull, under Maritime Commission contract, (MC 1280) at Marinship Corp., Sausalito, CA. Delivered to the Maritime Commission, 31 January 1944 upon completion, for charter to Deconhill Shipping Co. Transferred to the Maritime Commission, 9 April 1946, for lay up in the National Defense Reserve Fleet, Mobile, AL. Sold in February 1981 to California & Hawaii Sugar Co.
121k Mission San Juan fitting out while moored outboard of an unidentified tanker at Dock D-1, Marinship Corp., Sausalito, CA. 15 days after launching. 116k Mission San Juan fitting out while moored at Dock D-1, Marinship Corp., Sausalito, CA. 43 days after launching. 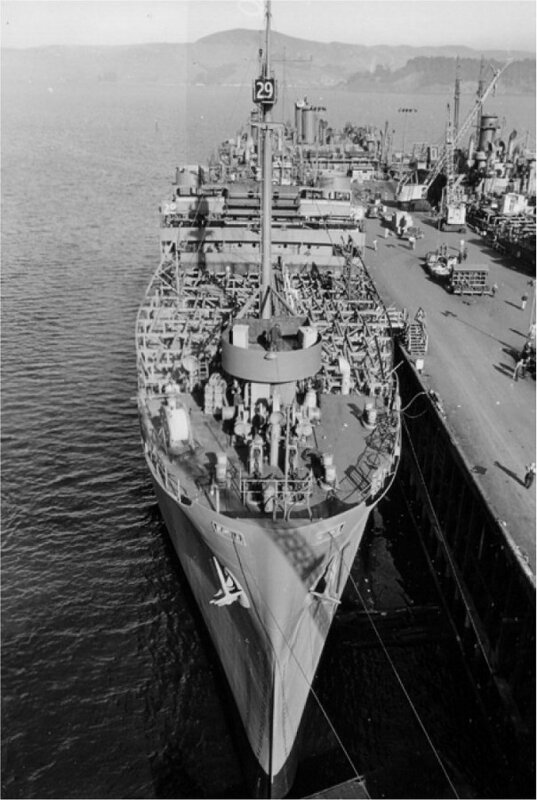 87k Mission San Juan under way probably in San Francisco Bay during builders trials, circa January 1943. 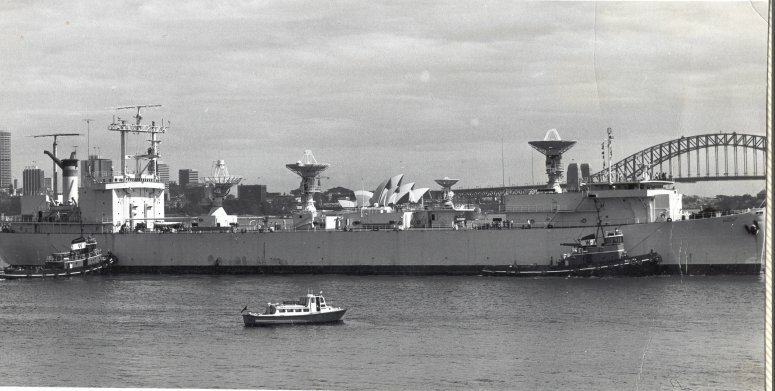 63k Mercury (T-AGM-21) while berthing at Sydney Harbour, Australia, in 1969. 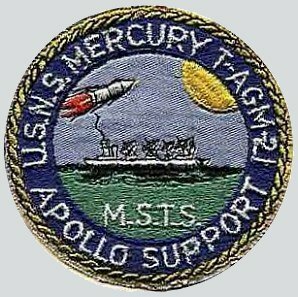 Mercury was part of the command and control network for the Apollo 9 and 10 missions while in Sydney. Photo from the collection of CAPT. 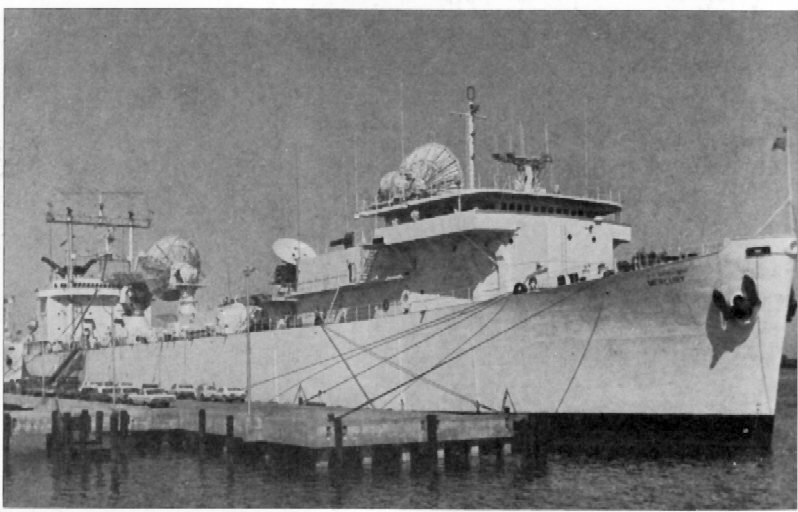 William Strain, USNR-R, Chief Engineer USNS Mercury late 1960s. Submitted by his son-in-law CAPT Joe A. Baker USN (Ret). 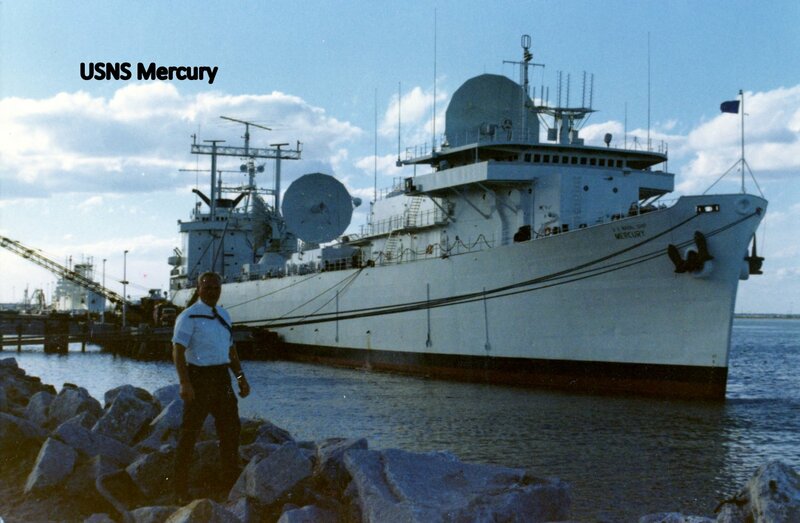 70k Mercury (T-AGM-21) moored pierside at Port Canaveral, circa 1967/68. 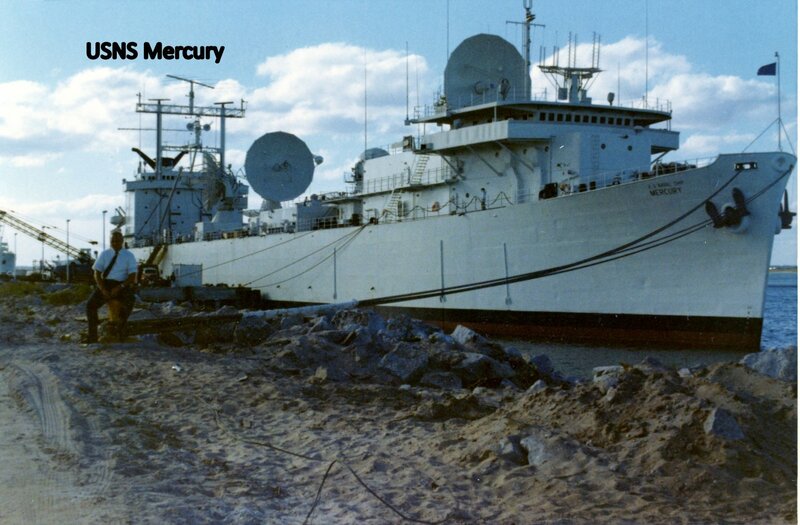 105k Mercury (T-AGM-21) under way, date and location unknown.